Italian rosato comes in all shades but perhaps the height of the category is Cerasuolo d’Abruzzo. Yet Cerasuolo d’Abruzzo isn’t exactly a rosato. It is an official denomination and appellation to cover the cherry-red (Cerasuolo roughly translated means cherry-like), brightly flavored wines of Abruzzo made from the free-run juice of the Montepulciano grape with a short maceration prior to fermentation apart from the grape skins. 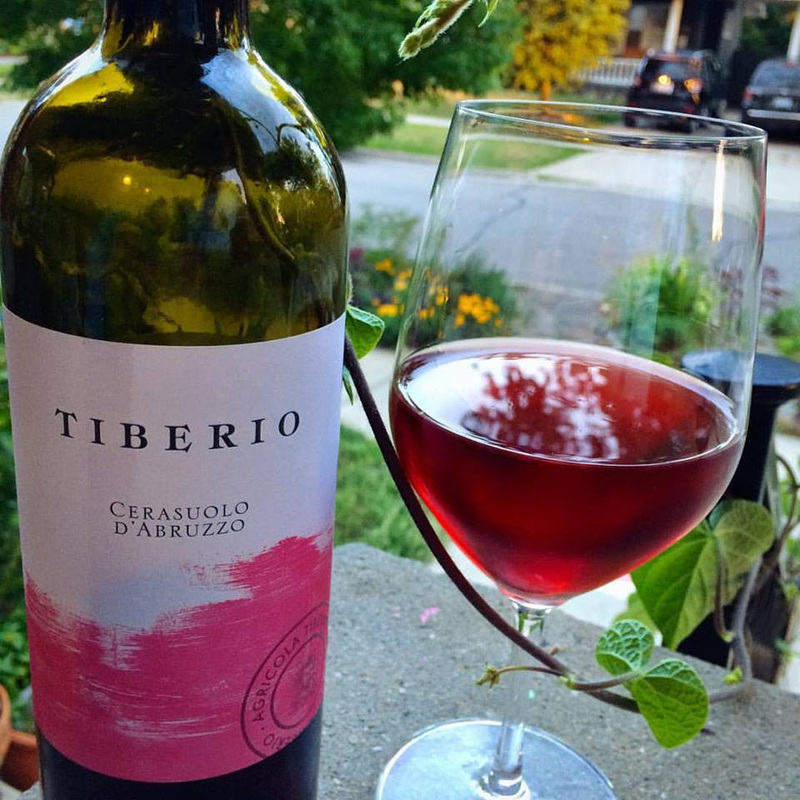 Agricola Tiberio‘s Cerasuolo d’Abruzzo is rich and fleshy, with aromatics of flowers and citrus peel, ripe raspberry and blood orange flavors, lip-smacking acidity, noticeable structure, and a lengthy finish. While light in color, it’s a big enough wine to handle Abruzzo’s traditional grilled lamb (Arrosticini Abruzzesi) yet light enough for porch sipping. And we’ve tested it for both. The reality of Abruzzo is that many farmers find it convenient to join cooperatives and force production well beyond the limits of quality rather than make their own wine. The shame of it is that the region’s sunny hills are more than capable of producing outstanding wines, and a new generation of grower/producer aims to show the world what’s possible when the focus is on creating wines that speak of place. Leading the movement is Cristiana Tiberio. It’s amazing to watch Cristiana’s star rising so fast. She has only been fully responsible for the winemaking at her family’s 74 acre estate in the Cugnoli area of Pescarese (one of the four zones of Abruzzo) since 2011. Yet she is already mentioned among the top producers of the region, consistently being awarded the coveted “Tre Bicchieri” (Three Glasses) by Gambero Rosso, the world’s leading authority on Italian wine. Wider diurnal temperature variations are the norm in Cugnoli so its white wines tend toward freshness with the potential for development in the cellar, while its Montepulciano wines are some of Abruzzo’s most refined. Despite its name, there is no direct link between the Pecorino grape and Pecorino cheese. According to local legend, Pecorino gets its name from the sheep (pecora) who would snack on the grapes in the vineyards. The variety was thought to be extinct until it was found growing wild just north of Abruzzo in Marche and began a revival in the 1980s. Tiberio’s seven acres of Pecorino vines are planted on 20 foot deep limestone soils over clay and compacted sand and are some of the oldest in the region. The vines are naturally low yielding with a high total acidity so the wine shows a thrilling combination of rich texture and energy, orchard fruit, sage flowers, salt, stone, and sunshine. This is Abruzzo’s Montepulciano grape at its most pure. From a plot of 50+ year old Montepulciano vines grown in clay-calcareous soil. Intense aromas of cherry and flint before dense, sappy fruit with a snappy finish. It’s a versatile red wine that won’t become ponderous in the heat of summer. 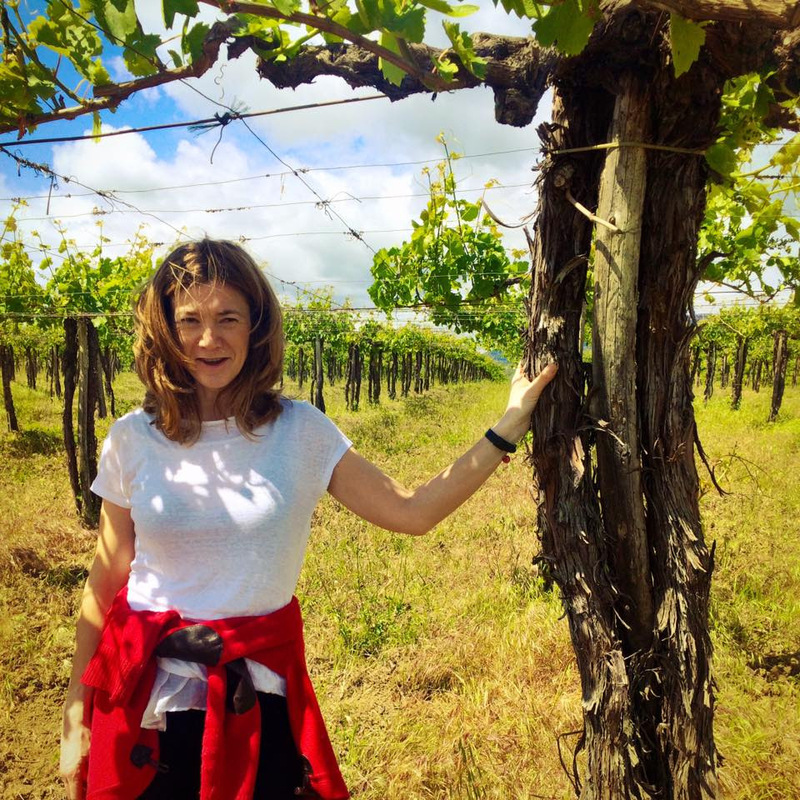 According to Cristiana, 2015 was a very hot and dry vintage. An early harvest endowed the wines with more concentration and richness of fruit. To live life at its fullest pair a bottle with homemade pizza cooked on your outdoor grill. © 2013 - Elie Wine Co.
Take a virtual tour of the store.